We are happy that prior to this review being posted, you had been contacted by a supervisor and all issues were resolved. All of our calls are recorded, so we appreciate your comments as we are able to use the calls as valuable learning tools. As the fastest growing travel company in the world, we sometimes fall short of our goal, however, we are constantly looking to improve. You can save up to save 77% of the retail rate on the promotional packages because the resorts are subsidizing the cost of the vacation in exchange for meeting the eligibility requirements and attending the resort preview. It is the participating resort provider who sets forth the eligibility requirements - not BookVIP. 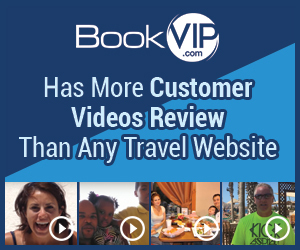 BookVIP is a booking company and it is our job to ensure that guests are qualified for the limited number of promotional packages being offered by the resort providers. The eligibility requirements for each promotional package can be viewed on BookVIP’s website at the bottom of each resort offering page by clicking on the Terms and Conditions. That being said, when we reached out to you and explained the situation, you understood our position, and we are looking forward to helping you plan that much-deserved vacation. The reason we have over 3.9 Million Facebook Likes, more customer video reviews, and have sent over 100,000 people on vacation this year alone, is because we are the worldwide leader in promotional packages - that's our specialty. If you meet the resort's requirements and agree to attend the resort preview, you will receive the promotional rate. I didn't like: Poor customer service, Waste of my time, Lies told by representatives, Shady, Poor customer service waste of time shady. Review #1358386 is a subjective opinion of OilyShihTzu.